Presidents Day Special: Get 7 Months For $99. Find Out Why Almost Everything Is Still Bullish!. (*valid through Feb 21, 2011). Here is an opportunity to save some real money on a membership to our video forecast services. For two weeks only (ending 21 February) we are offering 7 months full membership for just $99, more than a 50% discount off the normal monthly membership cost. We don’t intend to make a big song and dance about this limited offer – it is what it is – good value and available for two weeks only. Get 7 Months Membership For Just $99!. Until February 21, 2011 new members get full subscriber access to all video forecast services and to our proprietary trend signal analytics for $99 for 7 months. Membership includes th following video forecast services; – Trend Signal Analytics – Daily US Forecast – Weekly International Forecast – Weekly Theoretical Portfolio Report – Monthly World Forecast Report All memberships offer a 30 day money back guarantee. We provide daily, weekly and monthly trend signal analytics for all of the markets that we cover in both the Daily U.S. Market Forecast and in the Weekly International Forecast video services. These timely trend signals provide subscribers with reliable and actionable trend signals that can used to determine trending movements anywhere from daily to monthly time frames. The Daily U.S. Market Forecast is a daily video forecast service that covers multiple US major indices on various shorter time frames. Having a prompt and reliable daily forecast service allows members to understand where the market is on a timely basis, and importantly how the market trends are progressing. First in relation to forecast, but also with respect to elliott wave counts and the key support and resistance levels. Included in the Daily U.S. Market Forecast we cover 3 major U.S equity indexes, The New York Stock Exchange (NYSE), The Standard & Poors Large Cap 500 Index (S&P500)and The Nasdaq100 Index (NDX) along with daily coverage of the SPDR Gold Trust (GLD), The Oil Service Holders Trust (OIH), and The USD Index Bullish Fund (UUP). Each day we cover and forecast these indexes and instruments across a range of shorter time frames ranging from 15mins out to daily charts with all charts carrying the critical support and resistance levels. To view current reports and find out more click here. Each weekend we deliver a weekly technical analysis video summary of the major international equity markets from around the globe. The markets are analysed in the same rigorous manner as used for the US markets and each market is detailed in terms of elliott wave forecast and technical analysis. We also run each international market through our trend signal analytics to support our analysis. 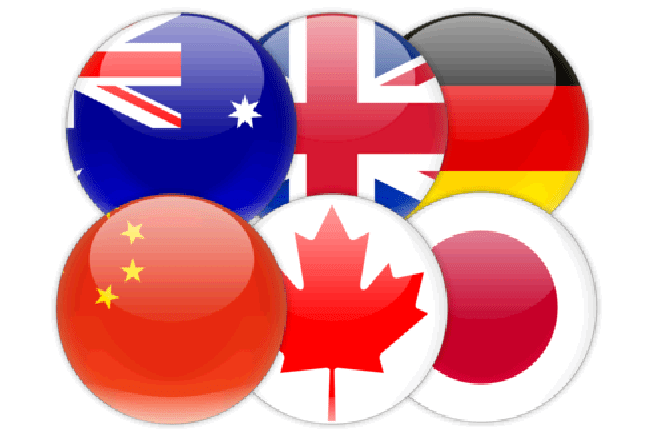 The major markets covered weekly include Australia (ASX200), The United Kingdom (FTSE), Germany (DAX), Canada (TSX), China (SSEC), Hong Kong (HSI) and Japan (Nikkei). To view current reports and find out more click here. The Theoretical Portfolio Report is a 3 part weekly report that covers a group of stocks that have been added to a coverage portfolio for members to follow. Whilst the stocks added to the Theoretical Portfolio Video Service are not recommendations, members can use this service to observe how various financial instruments perform. Each instrument added to the Theoretical Portfolio report has been added on the basis of an expected outcome, and this is generally supported by a bullish or bearish signal trigger in either the instrument itself or in the case of a leveraged instrument, the underlying instrument or index. The Theoretical Portfolio has been separated in to 3 sections covering a beta 1 risk up to a beta 3+ risk which essentially means low volatility risk to high volatility risk. There has been some amazing gains made in the report, to view current reports and find out more click here. The World Forecast Offers a monthly insight into global market trends and includes 5 comprehensive video forecast analysis each month. The World Forecast Report Video Service covers in detail most of the worlds major international equity markets and presents elliott wave and technical analysis for The America’s, Europe, Asia, Currencies and Precious Metals and Energy. With the markets being so prone to globalisation in today’s world it is a great resource to be able to tap in to the trends in most major global markets and sectors and know what is going on without having to pay more for the privilege. To view the latest forecast reports and find out more click here.